These designs consist of two pieces, the outer and the inner barrel. 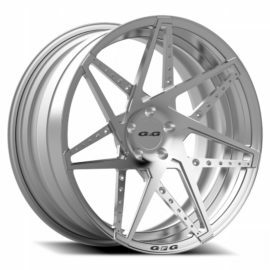 Both parts are forged from the highest grade aluminum and custom machined to create each part. The two parts are hand assembled at our Los Angeles, California facility to ensure the highest quality. Custom made and hand assembled in the USA.